No matter what your age is, your facial skin is always the first to get affected. In order to retain the healthy glow on your face, getting facial treatments on regular intervals helps in a long way! Glowing, transformed and better skin! If you haven’t had a facial before, then you’re truly missing out on a lot of positive benefits. Apart from the increase in the glow of your skin, there are also a number of multiple benefits that come with getting facial treatments. In a world that’s constantly moving and constantly turning, a facial helps in getting that much needed alone time that one needs. With facial treatments, you get to lay back, relax and let those age lines fade away as the expert pull and tease and swivel your face back into shape! Clearer, brighter and healthier looking skin can help put a real spring in your step. A good facial treatment also boosts confidence in more ways than one. A transforming experience, getting a facial is an absolutely enjoyable experience. You will feel relaxed, pampered and your skin feels better than ever before! 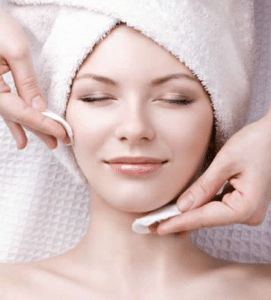 Visit: https://www.justflauntsalon.com/book-an-appointment to book an appointment and get facial treatments that transform your face a glow and transform it like never before.